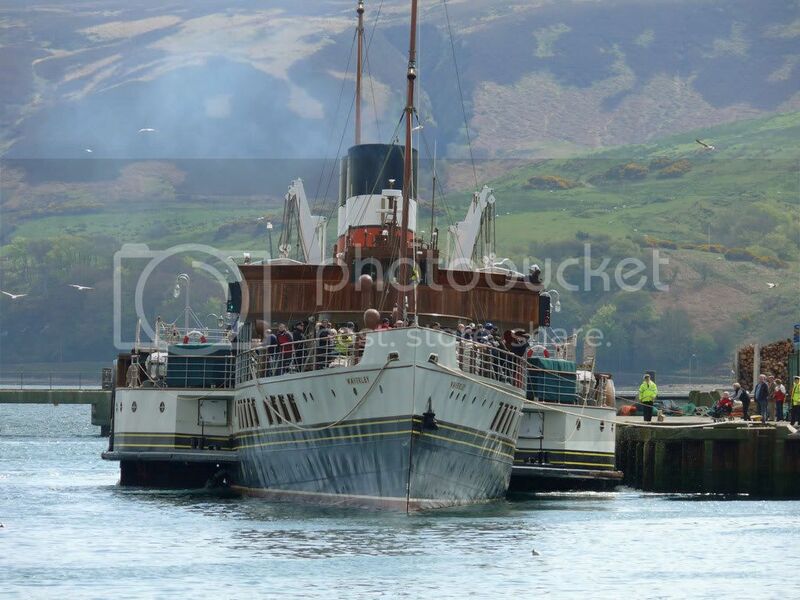 She'll be back on 22 June for a short cruise out to Sanda, the Mull, and back. 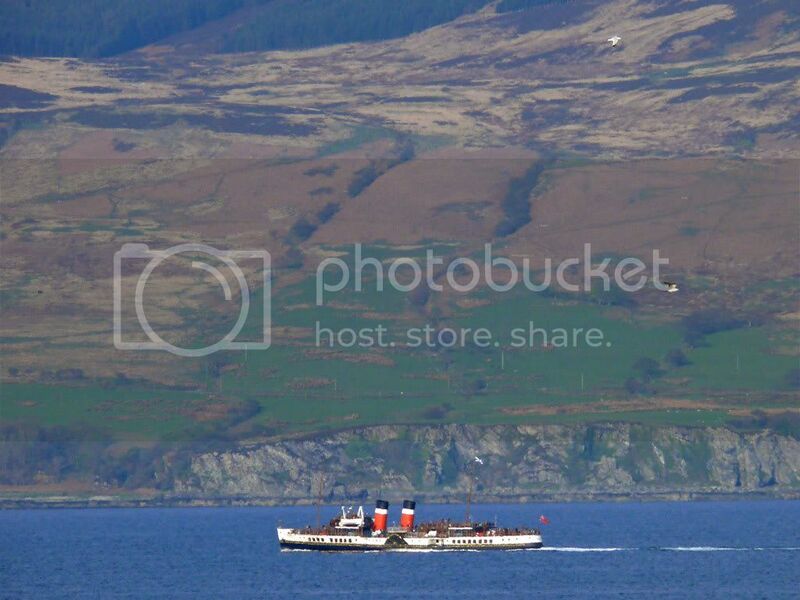 An advert appeared in last week's Courier. 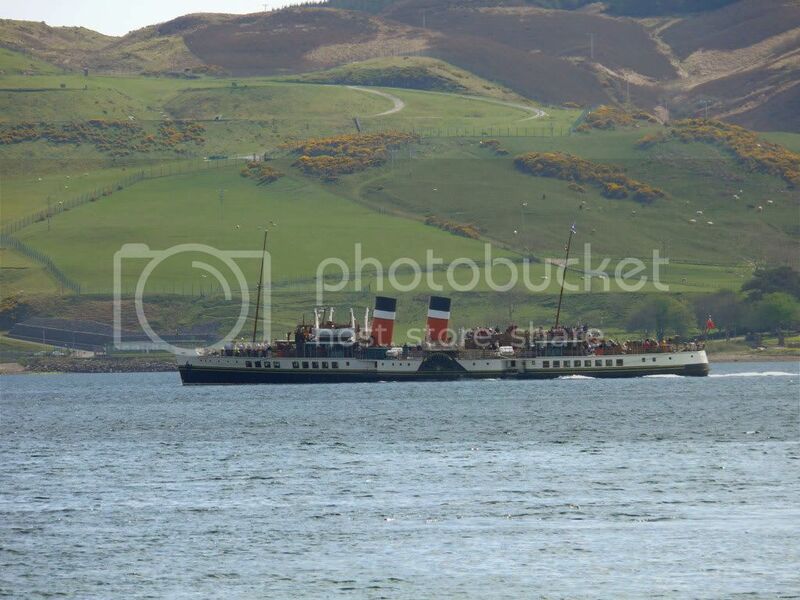 Pity the webcam's stuck on 9pm yesterday as I see the Waverley is in town again and would have been clearly visible on it. 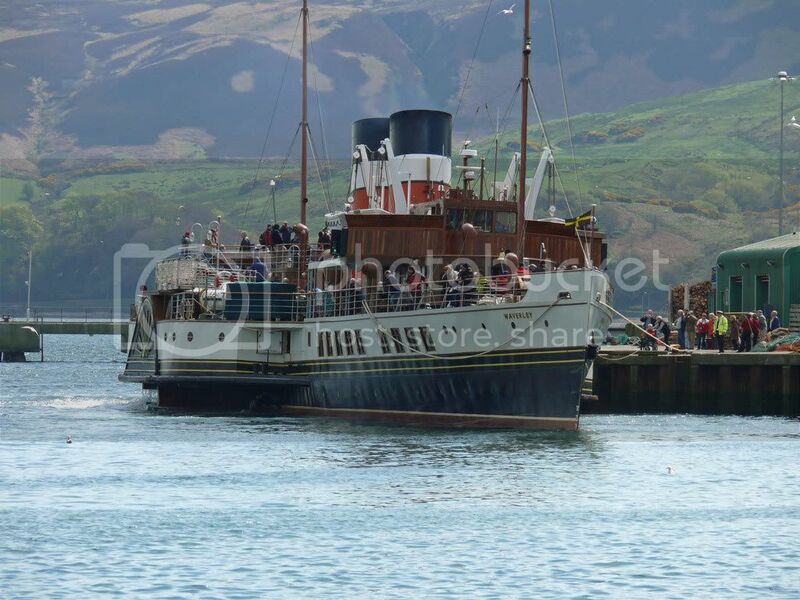 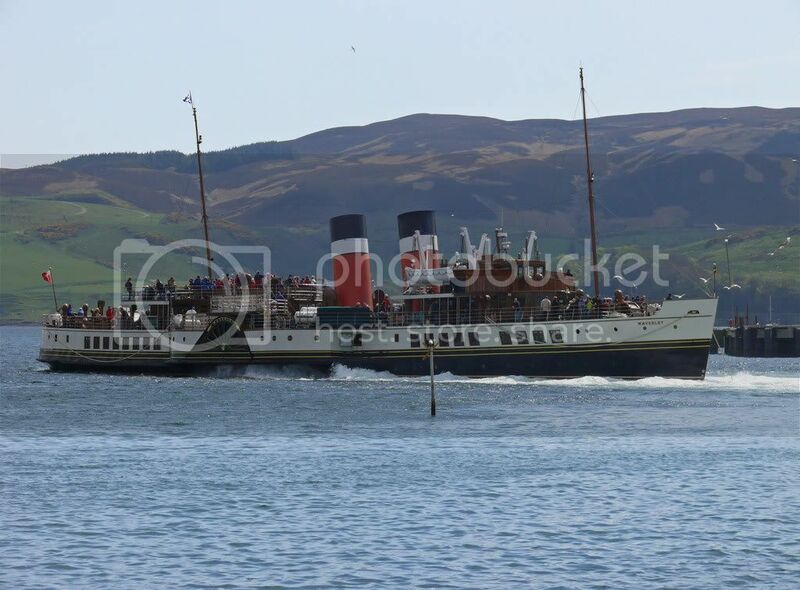 Beachcomber wrote: Pity the webcam's stuck on 9pm yesterday as I see the Waverley is in town again and would have been clearly visible on it. 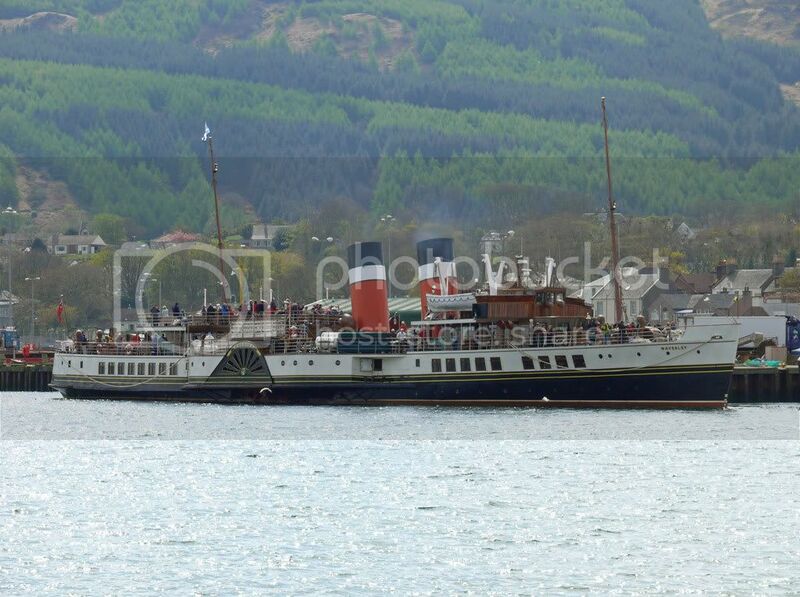 There was a lot of heat shimmer coming off the water but I don't think they came out too shabby, eh? 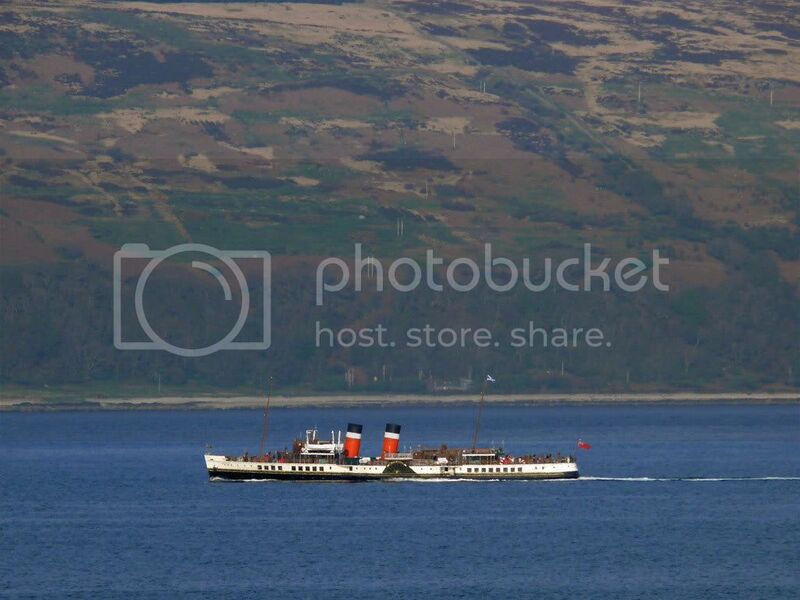 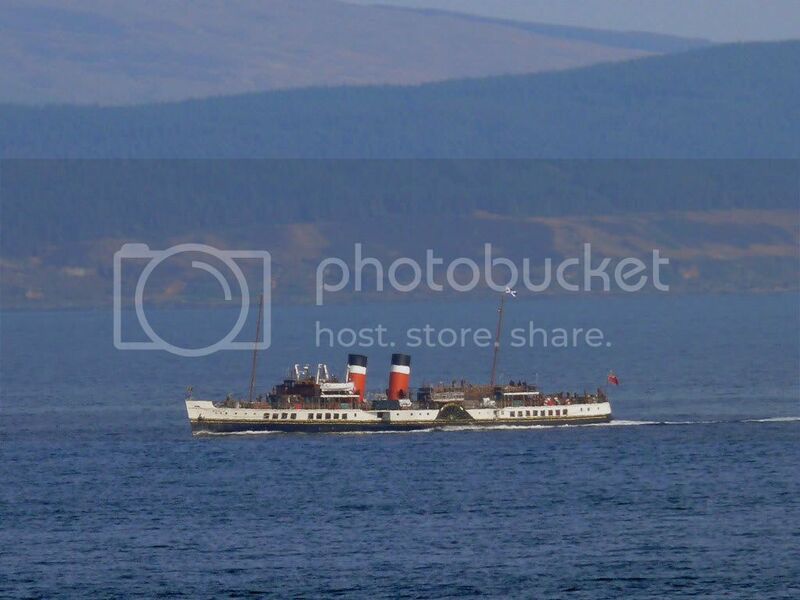 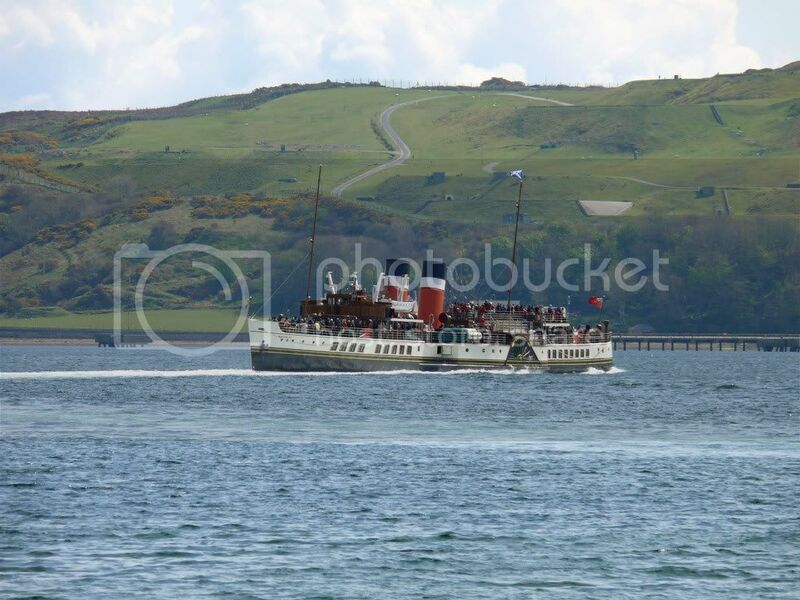 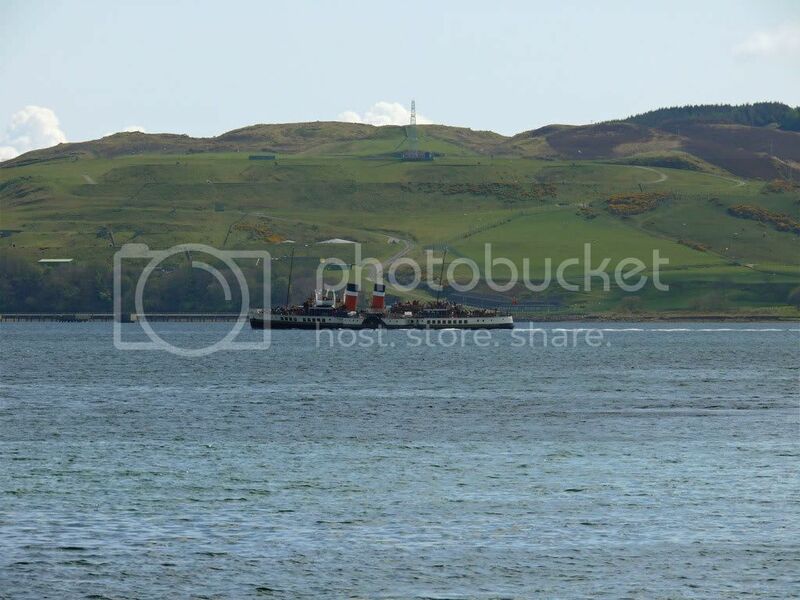 Managed to get a picture of the Waverley as it passed by Blackwaterfoot on Arran from Shore Cottage in Peninver, on a very sunny hazy day.